In thousands of homes across Brazil, women like Maria are subjected to extreme abuse by their husbands on an everyday basis. Recent statistics reveal a rather alarming picture. Every 15 seconds a woman is assaulted; every two hours a woman is murdered; 65 per cent of attacks on women happen behind closed doors. Whereas Brazil has the seventh highest rate of violence against women in the world, within the past three decades at least 92,000 women have succumbed to domestic violence. Maria, however, has beaten these dismal odds. Instead of taking things lying down, she decided to fight a pitched battle against domestic violence to the extent that her efforts have resulted in a special law being named after her. The Maria da Penha Law on Domestic and Family Violence is one of the most comprehensive legislations in the world that gives the tate the powers to arrest, prosecute and punish perpetrators of violence against women. It was in May 1983 that Vivero decided to do away with her altogether. “I was sleeping when I heard a shot, a very loud noise, in my bedroom. I tried to move but couldn’t. Thankfully, our neighbours came to my rescue and rushed me to a hospital. When the police questioned my husband he told them that four thieves had broken into our home and that he had fought them off. The attack had left me paraplegic, and I was under intensive treatment for nearly four months. “I came back home at the time because I had no inkling that he was the shooter. But when he kept me in forced confinement at home for more than 15 days and tried to electrocute me, I knew I could not continue with that relationship. However, I still needed a legal separation from him so that I could take my three daughters with me when I left. I couldn’t risk losing their custody. As soon as I got the papers I returned to my parents,” she narrates. In January 1984, she filed a case of attempted murder against her former husband. That was when her battle for justice began. It took seven years before he was sentenced by jury to 15 years in prison. The defence appealed the sentence and the conviction was overturned. A new trial was held in 1996 and a sentence of 10 years was applied. However, Vivero remained at large. 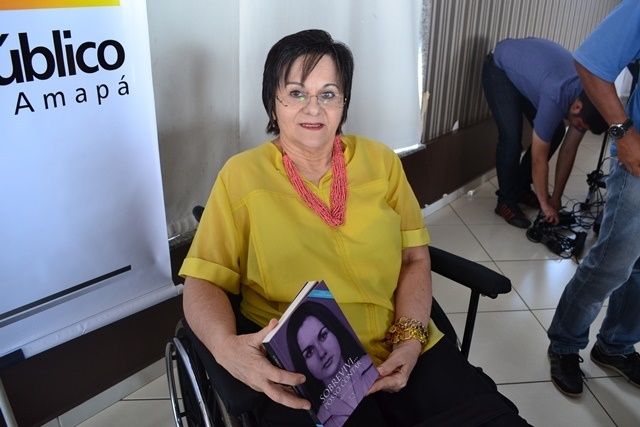 “I decided to write a book, ‘Sobrevivi… posso contra [‘I Survived… I Can Tell My Story’], on my experiences and the contradictions in the legal proceedings. This work was noticed by two non-government organisations, CLADEM (The Latin American and Caribbean Committee for the Defense of Women’s Rights) and CEJIL (Centre for Justice and International Law) that invited me to submit a case against Brazil to the Inter-American Commission on Human Rights of the Organisation of American States (OAS),” she says. Brazil, however, did not answer the petition and remained silent throughout the procedure. Later, in a landmark ruling, the Commission criticised the Brazilian government for not taking effective measures to prosecute and convict perpetrators of domestic violence. In March 2002, the penal process in Brazil was terminated, and in October, Vivero was arrested. He received a sentence of just over six years for two counts of attempted murder, but he has served only two by making use of judicial remedies. Meanwhile, between 2002 and 2004, several NGOs, including CLADEM, created a consortium to draft an improved domestic violence law. On August 7, 2006, following several discussions and consultations between the civil society and the state of Brazil, the Maria da Penha Law was approved. Working as a coordinator Of Studies for the Association of Relatives and Friends of Victims of Violence in Ceara, Maria, who is wheelchair bound, is glad that the new law upholds the interests of women. “This law is here to not just protect women from domestic violence but also to prevent it and also punish the aggressors. We need more number of women’s police stations, centres where survivors can seek preventive help and shelters for those who have walked out of their homes. In addition, we have to make sure that speedy trials happen in these cases so that justice is not delayed. It took 19 years and six months for my case to finally wrap up,” she says. The advent of the Maria da Penha Law has given a new lease of life to the women’s movement. The central thought behind the enactment of this law, that every woman has the right to live her life free from domestic violence, has been widely publicised throughout the country through lectures, courses and trainings conducted within communities, schools, universities, businesses and institutions. Nonetheless, Maria is convinced that a lot more needs to be done to secure women. “Women are still being murdered within their own homes by those who should be protecting and loving them. Before the law, although domestic violence was a crime it was considered a low potential offence. That reality has changed now and, indeed, wherever I go women acknowledge how much things have changed for them ever since 2006. But I do feel we need more financial resources to enforce all the measures the law promises,” she asserts. The determined rights-activist is particularly referring to women living in the smaller towns where patriarchy still has a stronghold and there are not enough women’s police stations or shelters to safeguard them from harm. “The law talks of setting up special courts and stricter sentences for offenders, besides other prevention and relief measures, in cities that have more than 60,000 inhabitants. But what about those living in small cities?” she says. In a sense, Maria feels that it’s not a law but a change in the attitude of the people that can bring about lasting change. “Till date, it’s the macho culture that has interfered with the creation of more gender friendly public policies. That has to change,” she adds. Of course, the beginnings of a transformation are visible. On the fifth anniversary of the law in August 2011, the National Council of Justice of Brazil collected data showing positive results: more than 331,000 prosecutions and 110,000 final judgments, and nearly two million calls to the Service Centre for Women. On its part the government has launched the Women, Living Without Violence programme, under which $265 million have been pledged to integrate public services and create women-friendly policies.